Rated as one of the top 100 places to live in America by CNN's Money magazine in 2006, Gilbert maintains a top position among Arizona's already outstanding real estate. Ashland Ranch contributes to Gilbert's prestigious status. Ashland Ranch's prime position in Gilbert, Arizona puts this subdivision in close proximity to city attractions while residents enjoy the best of quiet suburban life. The charm of this community is accented with tree-lined streets and beautifully landscaped common areas. Residents can choose among a variety of Southwest style homes this delightful neighborhood. Nature lovers enjoy Ashland Ranch's private parks with its exclusive walking trails and neighborhood playgrounds. Recreational opportunities abound with sports facilities located in the parks. Real estate in Ashland Ranch is served by the Gilbert Unified School District, which has successfully met or exceeded Arizona's standards on a consistent basis. Higher education is available at the nearby Chandler-Gilbert Community College. Ashland Ranch residents also find excellent health care at Mercy Gilbert Medical Center, the city's first full-service hospital. Golf enthusiasts enjoy championship golf on the lush rolling greens of Western Skies, Greenfield Lakes and San Marcos Golf Course. 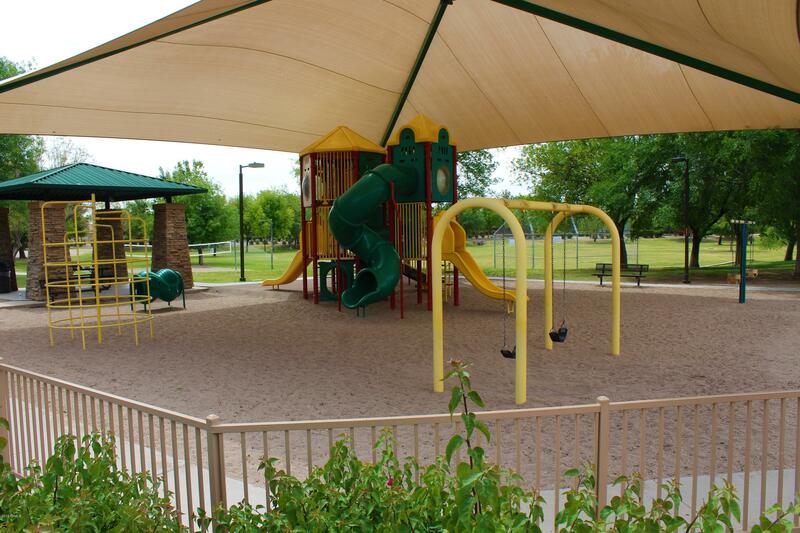 In addition to private parks in their own neighborhood, Ashland Ranch residents relax and play in nearby public parks such as Rodeo Park, Crossroads Park and Freestone Park. Superstition Springs Mall features an indoor play area, outdoor concert amphitheater and indoor carousel. With easy access to nearby Loop 202 and US 60, Ashland residents take advantage of quick travel to their favorite destinations in the Phoenix metropolitan area. Sports fans catch the Phoenix Suns, Arizona Diamondbacks or the Arizona Cardinals on a regular basis. Business travelers and vacationers find easy access to Sky Harbor Airport and Williams-Gateway Airport. Whether at home or out and about in Gilbert or Phoenix, homeowners at Ashland Ranch rarely encounter a dull moment.